Whipmaker, is this a trade at all? Not today most certainly, although whips are still being made. Up to the time when the combustion engine finally replaced the horse - no longer than half a century ago - it was an important trade. Whips were needed to move the farmers cart, the horse drawn taxi cabs, the first trolleys and the elegant carriages of the noble class. The production of whips in Germany was limited to a few regions. 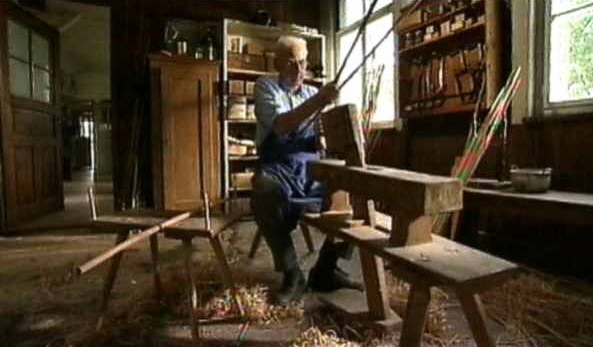 The small village of Killer near the Swabian Alps was once a center for the production of whips. That is also where one still finds some of the old whipmakers who are still practicing the old craft as they once have learned it.